When traveling, I try to keep my toiletry bag at the minimum to avoid extra weight. I shop at Target finding the smallest size deodorant, toothpaste and mousse containers. I pack my vitamins and a stash of Aleve in the tiniest plastic bags eliminating the bottles. However, until recently I was forced to forgo my favorite perfume because it did not come in a travel size bottle. 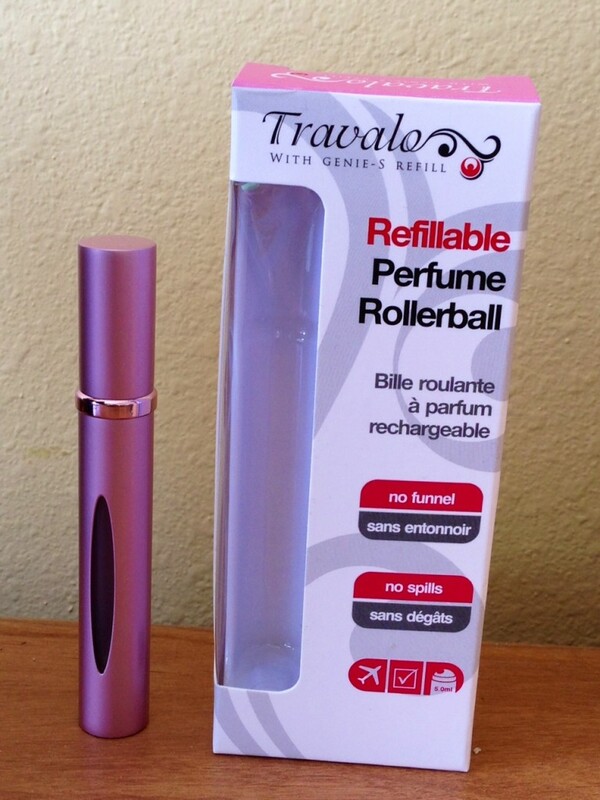 Then, I was sent a Travalo refillable perfume rollerball. I tried it out on my last trip and must say the fragrance rollerball works beautifully. No need to use a funnel, the gadget fills directly from the spray head of the perfume bottle. It’s an ideal accessory for the woman traveler and perhaps even appreciated by others who sit close by! The perfume rollerball is slightly bigger than a tube of lipstick and comes in a variety of colors. It is priced at $20. Would make a great gift. Check it out at travalo.com.